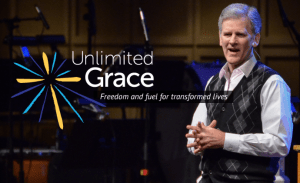 Unlimited Grace is dedicated to spreading the gospel of God’s grace to all people. We desire for believers everywhere to serve God through faith in His grace that frees from sin and fuels the joy of transformed lives. Bryan Chapell, Ph.D. is Senior Pastor of the historic Grace Presbyterian Church in Peoria, IL and President Emeritus of Covenant Theological Seminary in St. Louis, Missouri. Dr. Chapell is an internationally renowned preacher, teacher, and speaker, and the author of many books, including Each for the Other, Holiness by Grace, Praying Backwards, The Gospel According to Daniel, The Hardest Sermons You’ll Ever Have to Preach, and Christ-Centered Preaching, a preaching textbook now in multiple editions and many languages that has established him as one of this generation’s foremost teachers of homiletics. Dr. Chapell is passionate about sharing the truth of God’s grace with others, since it provides the freedom and fuel for transformed lives of joy and peace. 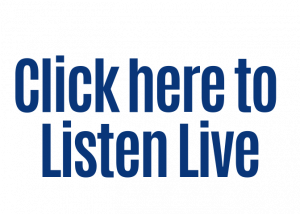 You can listen to Unlimited Grace weekdays at 7AM and Saturdays at 12:30PM.